During madern fashion life life, people start to pay attentio to enjoy the leidurely and comfortable time ,whether in living room or garden. Our zero gravity rocking chair which is is very comfortable and safety. 3 height can be abjusted ,allows maximum relaxation. With a deep padde removable headrest, they are extremely comfortable but also light weight to move around. The leisure rocking chair have protective plastic feet so your chair will not get scratched on the bottom,and let in water which could cause a chair to rust. The rocking chair can be left outside all year round as any light rain naturally drains through the textilene weave but we recommend winter storange. 5.Suitable for indoor and outdoor. 6.High quality with competitive price and timely delivery. 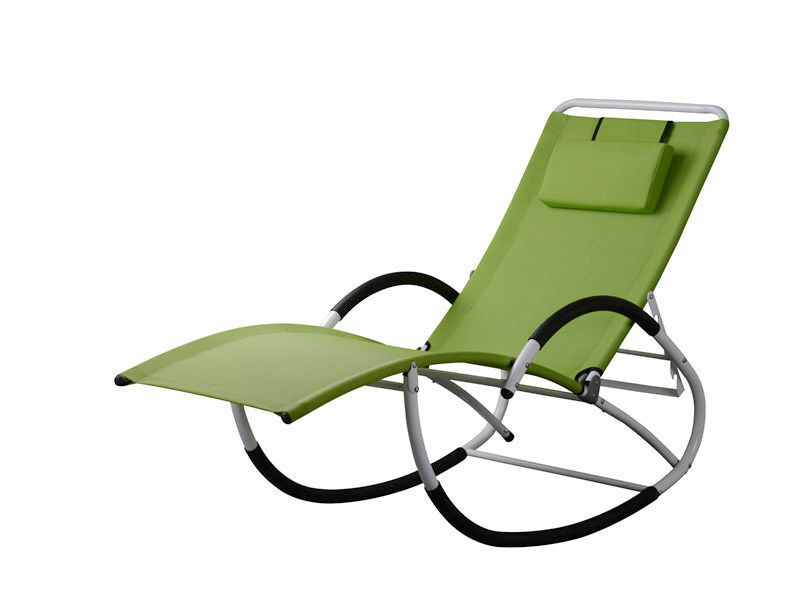 Looking for ideal Zero Gravity Rocking Outdoor Chair Manufacturer & supplier ? We have a wide selection at great prices to help you get creative. All the Garden Relaxer Rocking Cahir are quality guaranteed. We are China Origin Factory of Leisure Living Room Rocking Chair. If you have any question, please feel free to contact us.